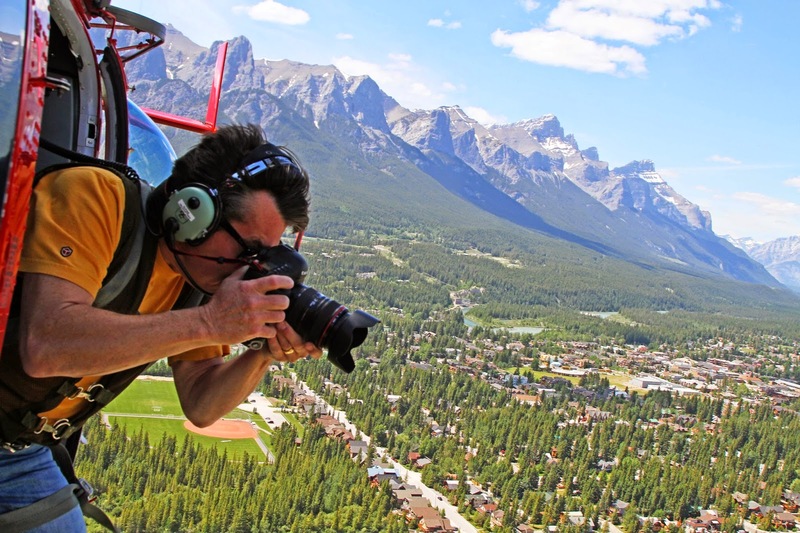 Town of Canmore and document the Canada Day celebrations. 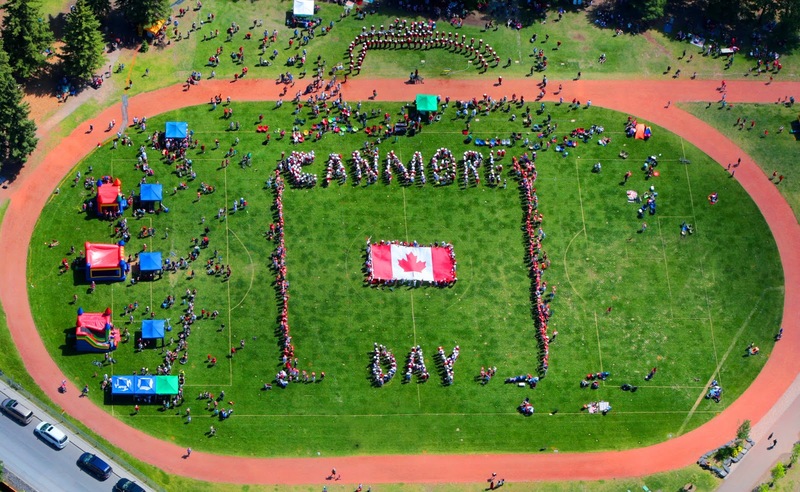 Hundreds of volunteers gathered below to create a Canmore Canada Day Flag. 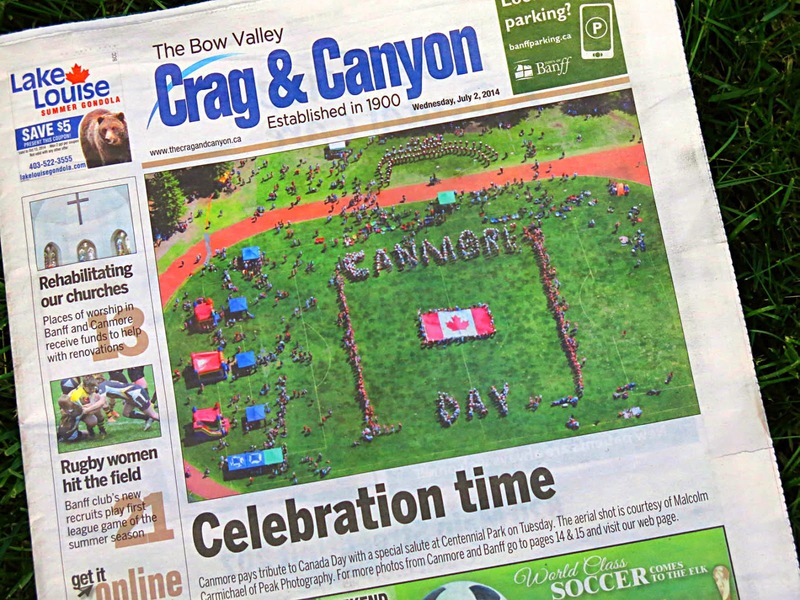 It was an amazing sight that made it onto the front of the newspaper.